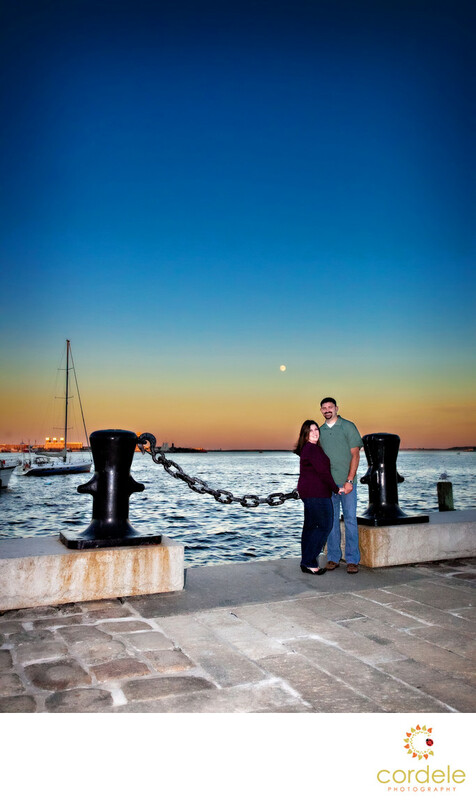 If you are looking for some of the Best Boston Harbor Engagement Photos, look no further. This is an engagement session over the Boston Harbor at sunset. Sunset in Bostons over the water are one of the most beautiful sites. One of my favorite spots is in the North end overlooking Boston Harbor. On the right not, you can also catch the moon rising as planes take off for a new destination! The moon in the background against the almost dark sky really makes this photo stand out.